It really is lonely at the top. We help business leaders align their organization. Business leaders know that predictable results are difficult to obtain. Alignment issues in performance management, leadership behaviors and conflicting values systems conspire against predictability and improved profitability. Performance and cultural alignment is the leader’s ability to optimize the performance of the team, to make their business more profitable and predictable. The creation of a singular goal for the business that is translated into goals for every individual in the company so that they are aligned. This also includes the Key Performance Indicators and tools used to plan the business. The communication of that plan to the right audience at the right cadence, and the follow-up against the plan with the right audience at the right cadence. The core values of an organization should be visible in the meetings designed to discuss the plans of the business and the meetings to report against the plan. How core values are established, communicated listened for and confronted are keys to an organizations ability to create alignment. There are three objectives for the session that tie in perfectly with the ongoing trend to focus on improving a company’s culture to get long term, sustainable results. Participants enjoy the unique approach towards aligning their teams. The stories conveyed are relatable and from them, participants learn from past experiences. The presentation mixes humor, story telling and research, so that the learning is fun, but the points hit home. I have had the great fortune to lead a national CEO peer group organization and have spent nearly 15 years listening to some of the top speakers in the world including Larry Bossidy, Jim Collins, General Jim Mattis, just to name a few and would put Andrew at or near the top of that list. Andrew provides a very high content presentation with numerous actionable take homes for the audience. One of my members even commented that Andrew was one of the best speakers he has heard in the ten years he has been involved in our network which is an incredible testament. I would highly recommend Andrew for organizations looking for a top-notch speaker/consultant to help drive stronger execution around performance and cultural alignment. Andrew’s presentation to the CEO Forum group I Chair on the topic of Performance and Cultural Alignment was interesting, insightful and generated some very valuable and practical ideas for all. 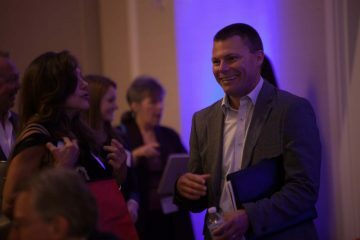 Andrew is also a very masterful speaker who is clear, articulate, engaging and knowledgeable, and the way he was able to combine these skills with a highly interactive and fun approach further helped to ensure a real and lasting impact that I believe would be valuable for any group of business executives. Andrew came into our group of executives and delivered a workshop that was lively, interactive and most importantly, gave my members some tools and strategies to take away and apply to their business to make it more profitable and predictable. Andrew’s workshop on Performance & Cultural Alignment gave my members a framework to apply to better align people and processes so that execution can be significantly improved. For any group that is interested in how to better execute their strategy through much higher alignment, I would highly recommend this session. We are always searching for ways to provide value to the business leaders who are members of our community... Andrew Rush was succinct and knowledgeable when it came to aligning corporate beliefs and behaviors. He was able to engage our leaders to reflect and think about how they can get their people focused on moving effectively and efficiently towards a common goal and purpose. Need more info? Want to book a session? *By checking this box, you agree to receive email from Carpedia.